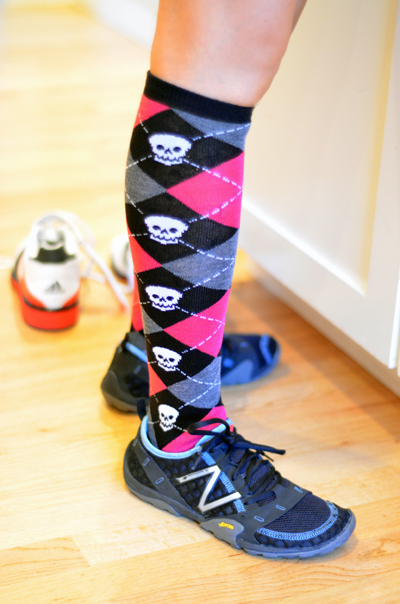 A year ago, on her birthday, would my wife have worn a pair of knee-high argyle socks with skulls printed on 'em? Well...yes. But she would've worn them under jeans. And she certainly wouldn't be heading out to CrossFit in them. 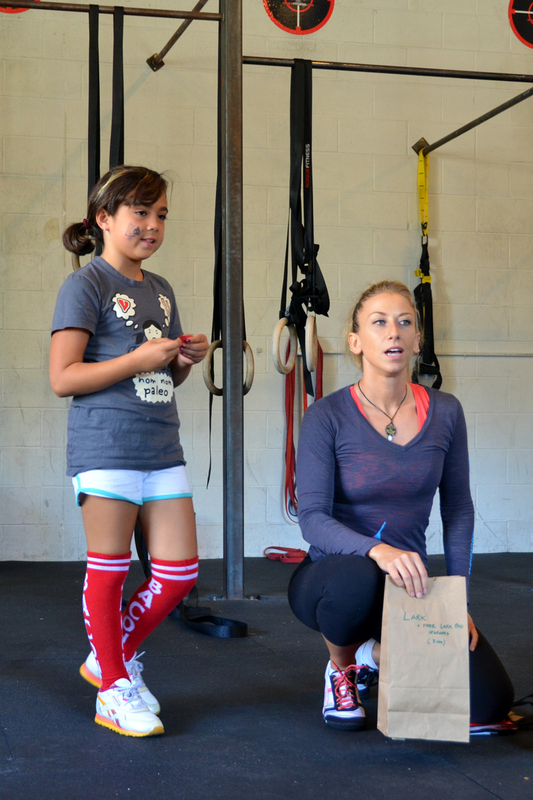 Or bringing Oly lifting shoes with her. 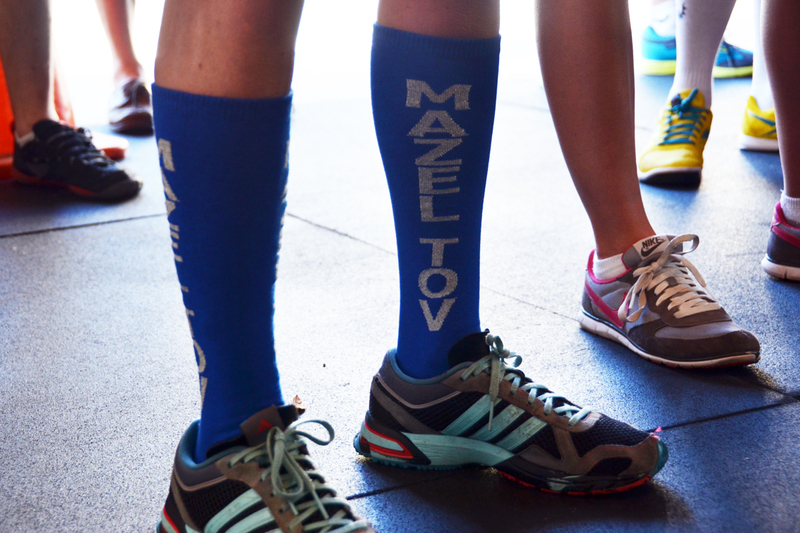 I'm pretty sure she was inspired by the awesome Mazel Tov and Bacon socks modeled by our friends at Fight Gone Bad. 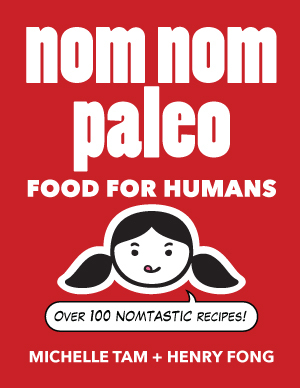 I need to find her a pair that says "Sous Vide" on them. Have a great birthday workout, M!